Hi everyone, I am Walleyedan. 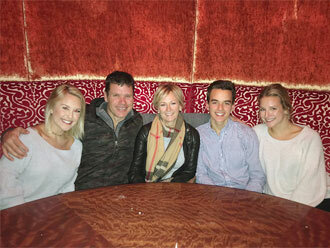 These days it is easy to get stuck indoors or focused on the silly electronic devices that seem to rule our lives. I use them too, but if I had my choice I would go back 100 years. But for now, it’s time to get back to reality and teach someone how to hunt, fish and enjoy the outdoors like I do! Besides the thousands of guide trips I have taken over the years, charity events have a place close to my heart as well. 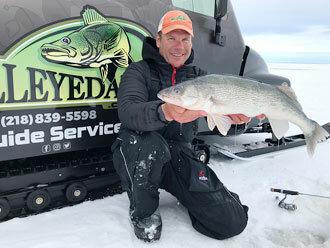 I have fished the Fishing Classic for Camp Confidence since 1993; every Brainerd Jaycees Ice Fishing Extravaganza (except for the very first year). I have fished the Trolling for the Troops event at Camp Ripley and the DAV turkey and Deer Hunts. This year will be the fifth annual Walleyedan Fishing To End Hunger Walleye Tournament on Gull Lake. First place prize is $15,000.00. Our guide service has also donated ,many, many trips to different charitable organizations over the years. 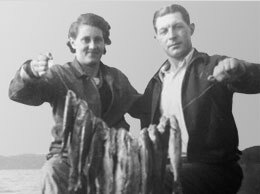 Grandma and Grandpa Eigen with a stringer of Lake Mille Lacs walleyes. There is a strong tradition of fishing in the Eigen family tree and we are watering the roots for the next generation! Fishing Classic Champions 2016. Winners of the walleye division 2 of the last 3 years! Ike, Barb and Dan Eigen. 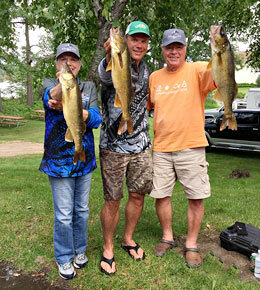 3 walleye's, 14 pounds 3 ounces!